Android TVs and Home units have become the hallmark of a smart home powered by Google. We’ve seen a fair share of Android TV boxes from a variety of manufacturers, including the Nvidia Shield. For the most part, they offered the same features in slightly-different packages. But when Google announced the JBL Link Bar, we witnessed a different product entirely. 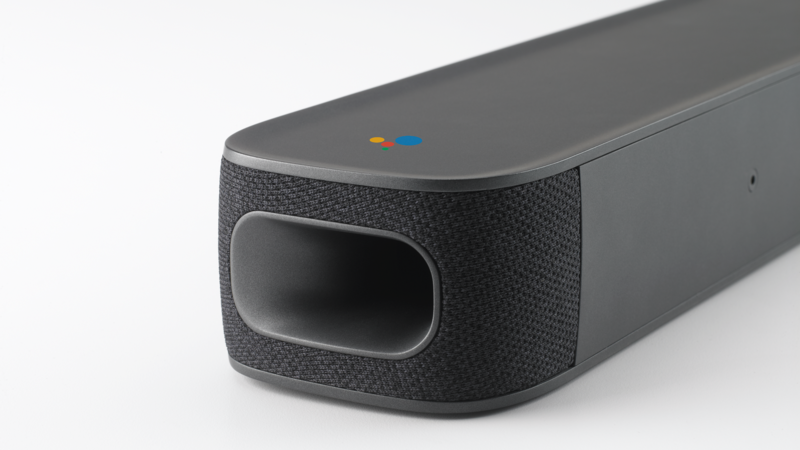 Sadly, pre-orders for the Android soundbar have now been hit with delays. B&H originally expected the product to be available on October 16th, but Twitter user Nate Harris shared an email from the retailer informing him that "your order will most likely not be filled by the end of this calendar year." 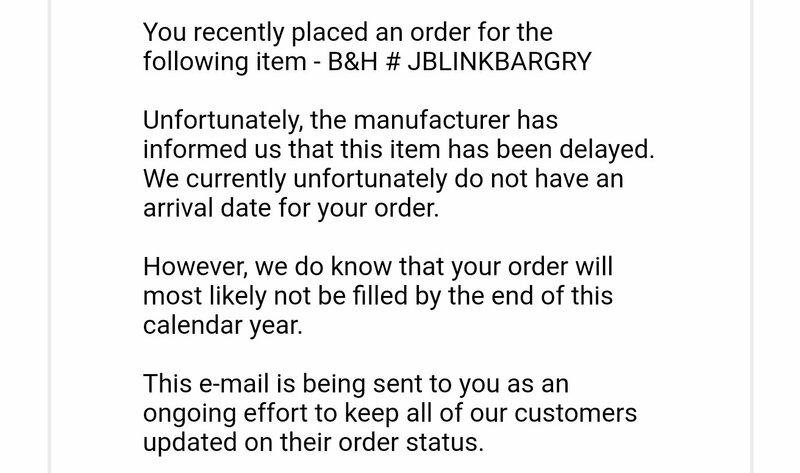 According to the store, blame for the delay rests on JBL. The 100W soundbar runs Android TV when the set is powered on and continues to serve even when the television is off. The Link Bar will give access to all your favorite voice commands, whether it’s controlling the lights, or dropping the beat for a party by using Google Assistant. It also includes Bluetooth for music streaming from other devices and even a 'PrivacySwitch' to disable microphones when you don’t want the Assistant listening to you. Given the lack of availability details, customers may look to the Sonos Beam. Although it won't feature Android TV, it is a soundbar that includes Alexa support and is slated to receive Google Assistant compatibility at some point soon.